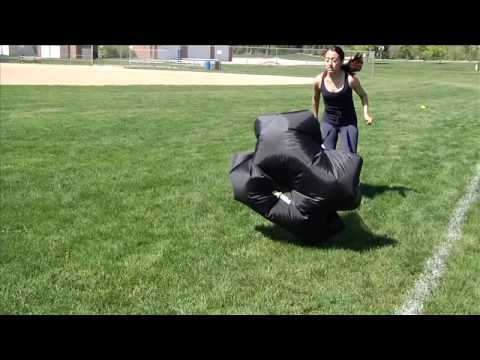 The PER4M Power Chute, speed training parachute, adds air resistance to sprint workouts to increase explosive speed and power while strengthening calves, thighs, glutes and core. 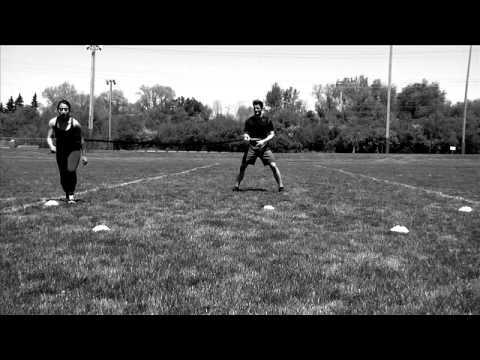 Improve fast directional change for better sports performance while increasing muscle mass in calves, thighs and quads. 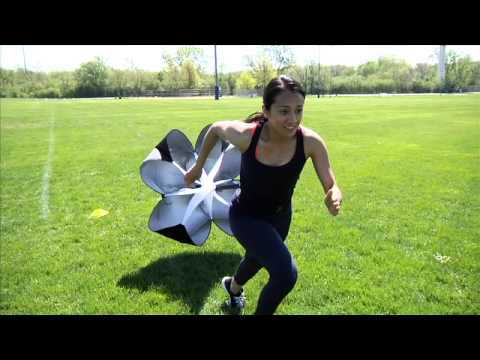 By strengthening the fast-twitch muscles you will see improved short burst speed and explosiveness. 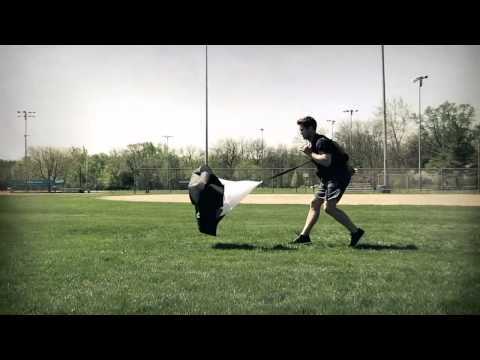 By distributing the resistance across your entire body, the Power Chute also forces you to improve your form, which results in improved athletic performance and fewer injuries. The 54-inch Power Chute includes an adjustable belt with a free sliding ring which allows movement in all directions. The design of the Power Chute includes mesh panels to improve chute stability and prevent tangling during use. The built in quick release buckle allows you to engage in overspeed surges mid-run.